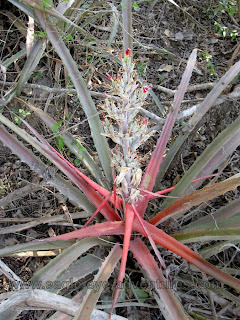 Bromelia pinguin is another widespread bromeliad that is found in Mexico. 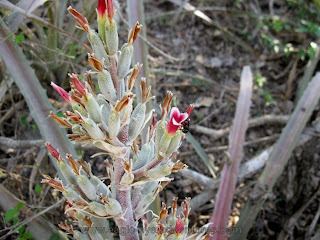 Unlike its close relative, Bromelia karatas, this species produces a stem that holds the flowers up out of the rosette of leaves. 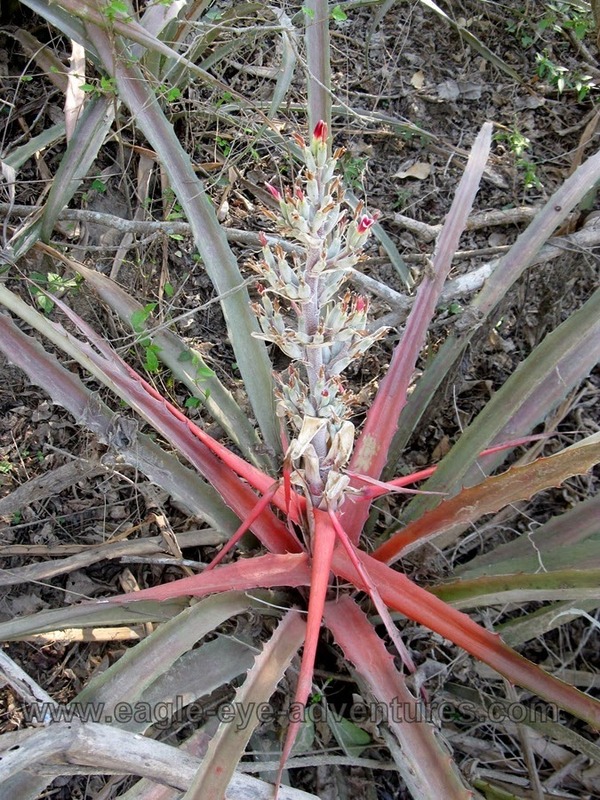 Both are locally known as piñuelas, and the fruit is harvested to be eaten and prepared into drinks. 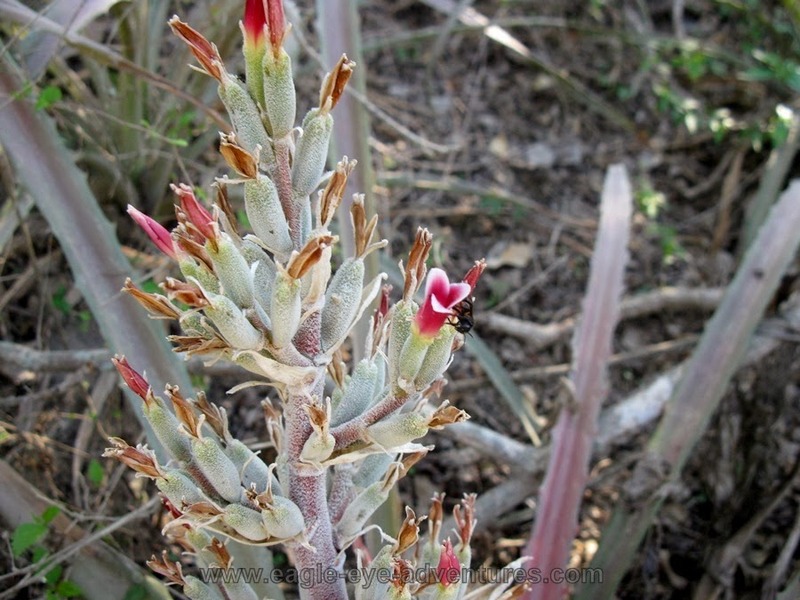 Here is a plant in with the colorful flowers open in the state of Jalisco.